Rabbi Lavey Derby joined the PJCC as Director of Jewish Life early in 2011, and brings with him a distinguished background as a Wexner Heritage Foundation faculty member, Senior Rabbinic Fellow of the Shalom Hartman Institute in Jerusalem, and Founder and lead teacher of “The Idra: A Community for Jewish Spiritual Learning and Practice”. As the long-time rabbi of Congregation Kol Shofar in Tiburon, California, he helped build a community based on the principles of Torah study, spiritual quest and practice, and social justice. Previously Rabbi Derby served as the Director of Jewish Education of the 92nd Street Y in Manhattan and as a faculty member and personal advisor to Rabbi Yitz Greenberg at CLAL — the National Jewish Center for Learning and Leadership, and as the Director of the Council for Jewish Life of the Federation of Greater Los Angeles. 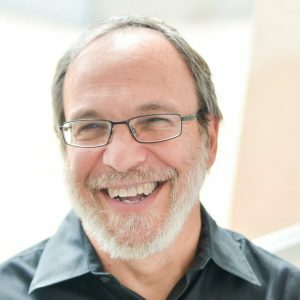 He has taught for the Institute of Jewish Spirituality and for the Industrial Areas Foundation, and has lectured extensively across the country on subjects ranging from rabbinic and Jewish thought to Hasidism and contemporary Jewish spirituality. He is certified as a Jewish mindfulness meditation teacher from the Institute of Jewish Spirituality. Rabbi Derby is the eighth generation descendent of Rabbi Levi Yitzchok of Berditchev and comes from a family line of rabbis that traces back to the 16th century.